Can’t believe this actually works. Windows 2000, Dell Optiplex 745 with a Q6600 quad core, 8GB RAM, 3.5" floppy drive, dual DVD drives, 128GB SSD + 250GB HD, XP/7-64 bit as well. even youtube works! 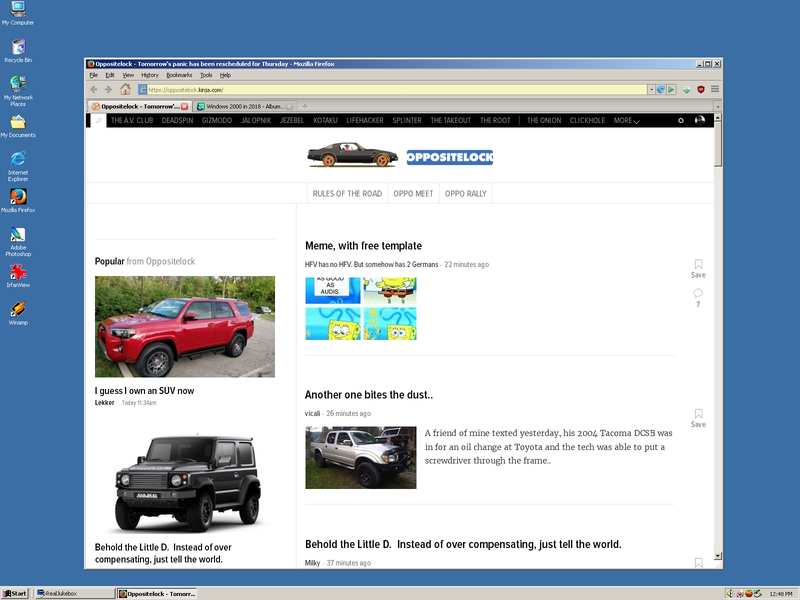 This is the last version of Firefox for XP... the last official one for 2000 was 10.something. Some kernel hacking done here and this guy does a ton of work to keep Windows 2000 updated and have newer programs run on it fine. Find updates for Windows 2000, even after Microsoft killed it!